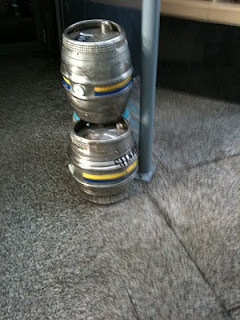 Two empty casks of lovely Sharps Doombar waiting to be picked up outside The Bull in London Westfield. I think somebody has drunk and left these on the road. But the way he put them there is like he made a great effort to ammuse people going through the path. He must had a good sense of humour.